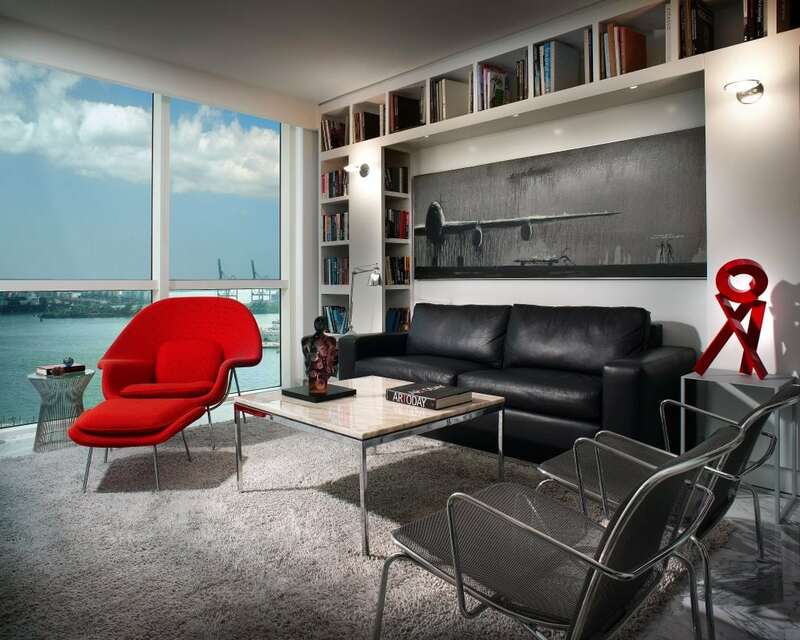 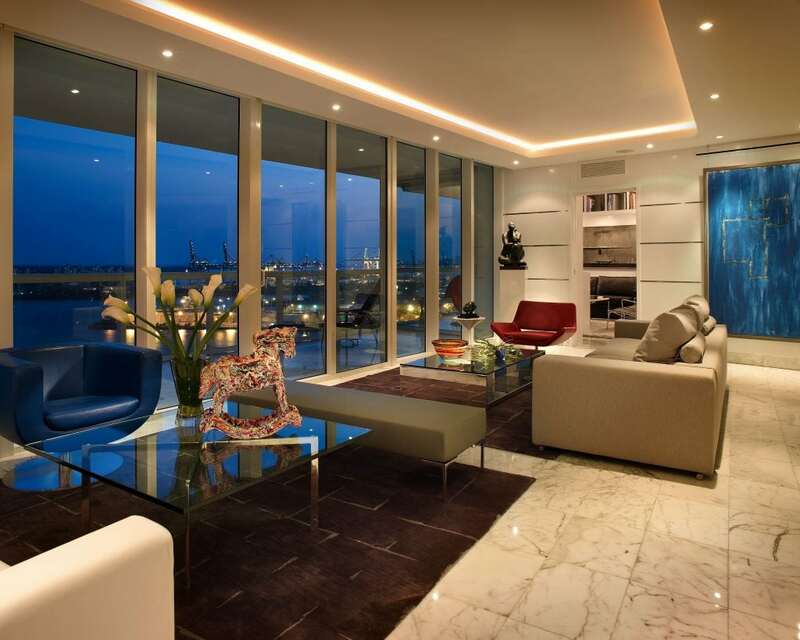 The client for this 2500 sq ft apartment located at the Icon Building in Brickell, was an art lover and collector. 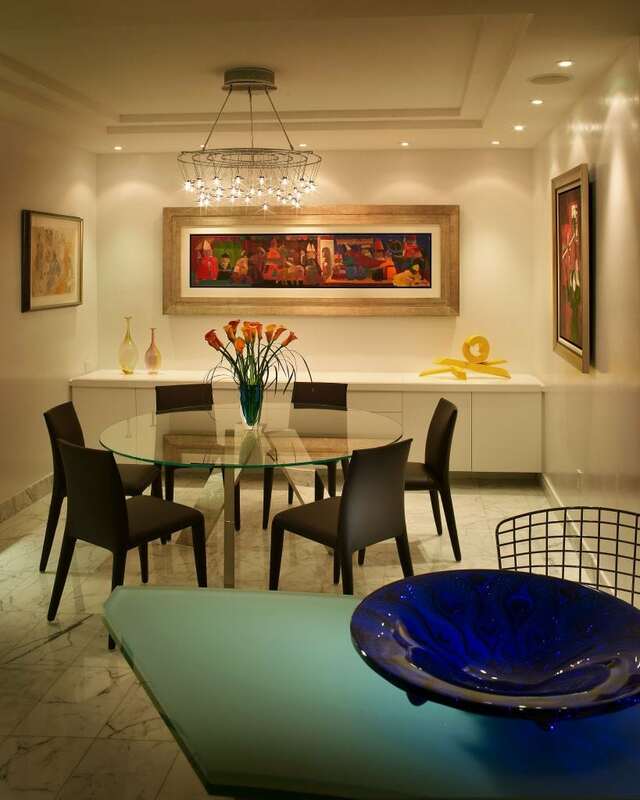 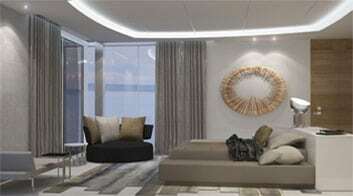 Our main concern with this house for our design to compliment and highlight the various paintings and sculptures that were going to be displayed around the home. 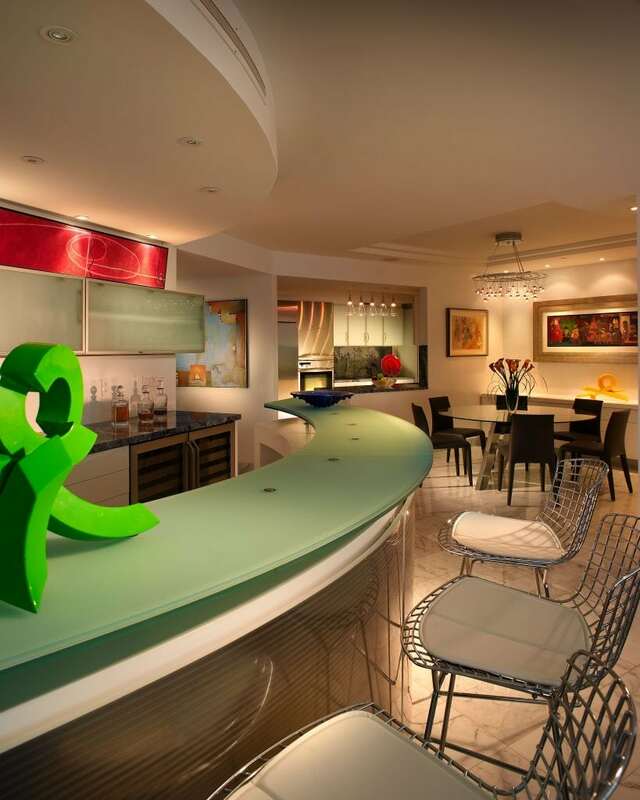 We renovated the kitchen, added a bar, and changed the floor throughout the home. 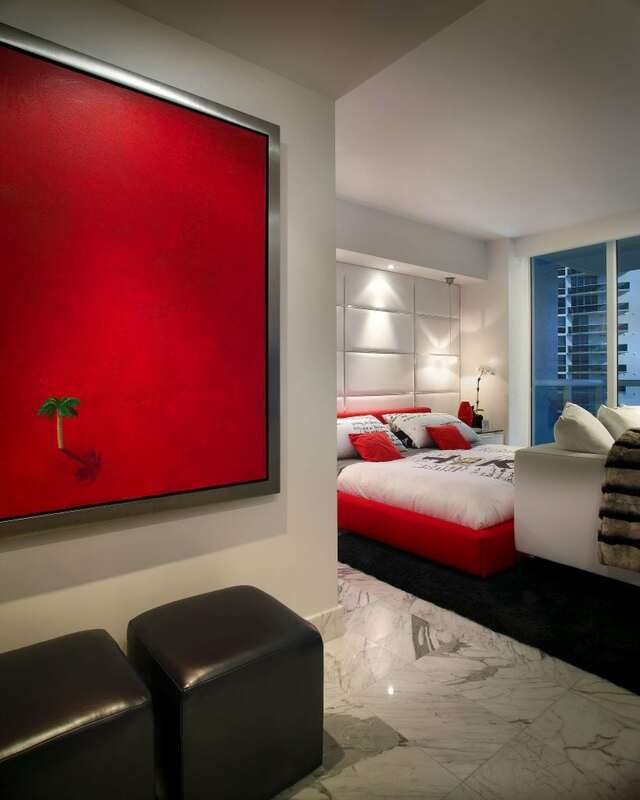 We were able to work with various custom pieces such as the library in the den, or the headboard for the master bedroom created using leather panels and stainless steel channels. 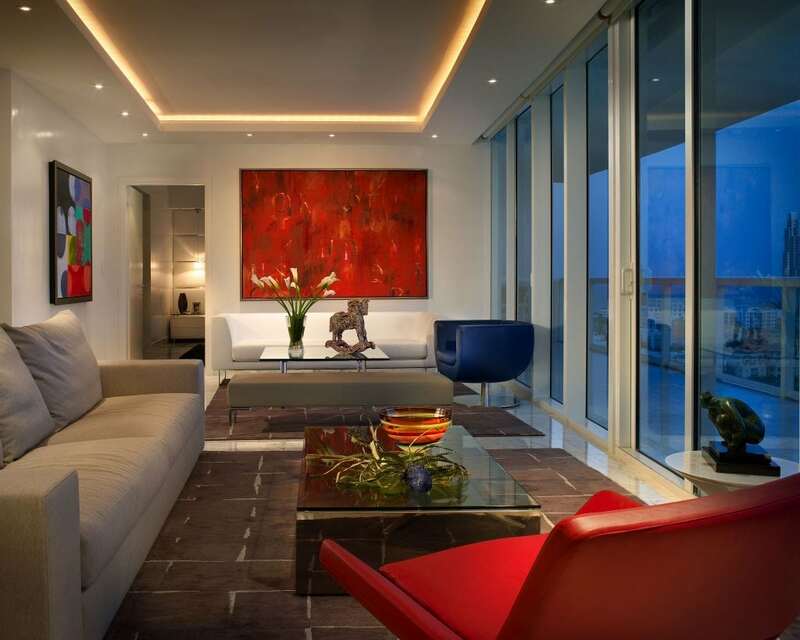 We left the ceilings quite simple in order to not pull attention from the art pieces. 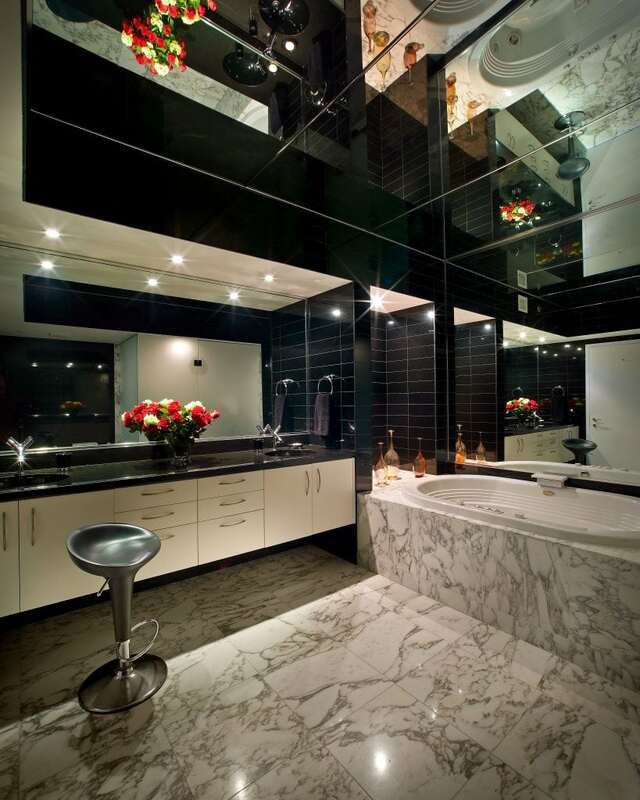 The master bathroom was enlarged with the use of mirrors on the ceiling and back wall. 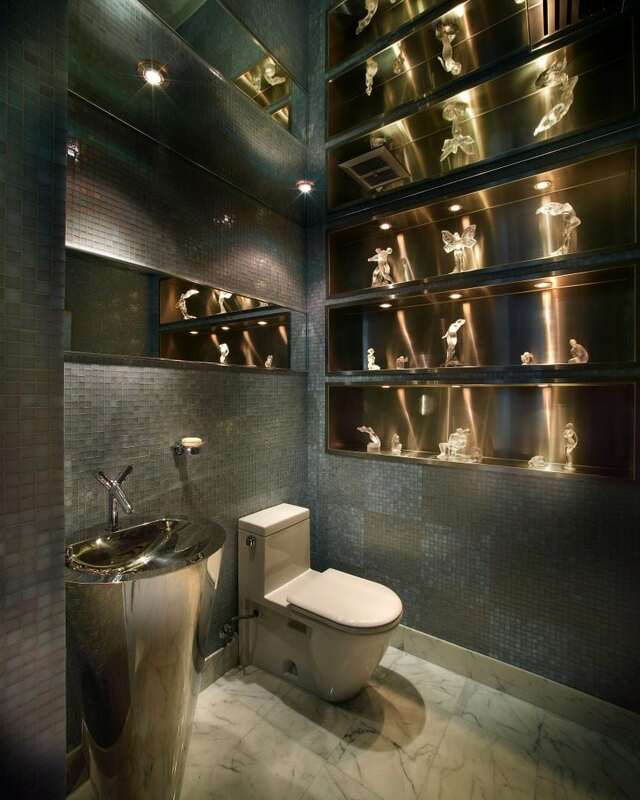 Stainless steel mosaics was used throughout the power bathroom, while niches were designed to house her crystal sculpture collection.